You’ve spent the whole morning in Musée Picasso and need to recharge? 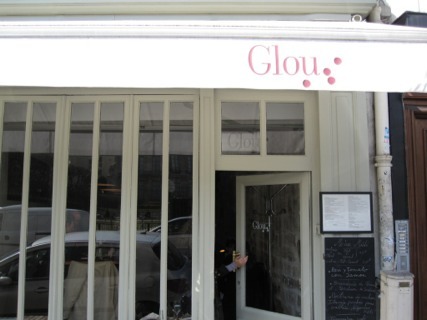 Nearby, there’s hardly a better place than Glou, an easy going bistro-resto, around the block opened by two French food journalists not long ago. Don’t expect checked table cloths here or other French clichés. Glou is a modern, casual eatery, informally furnished, this could be Melbourne or Berlin, so don’t be surprised to find yourself sitting at one of the bar-like tables on high chairs next to another stranger. There’s a printed menu and a hand-written one with only one starter, two plats du jour and a dessert. If you don’t like the offers of the day, you’re in trouble. The printed menu is a bit overpriced and not especially tempting. The dishes of the day are always good, though: tasty, freshly cooked, well seasoned. You might have a pork belly roast or a slice of pan-fried liver, a real brandade made of stockfish, potatoes and drizzles of olive oil or you go for a well-cooked risotto. The chef here has a Southern twist, cooking mostly Mediterranean style, using tomatoes, lemons, olives, rosemary and thyme. Oh, and the bread is very good, too. 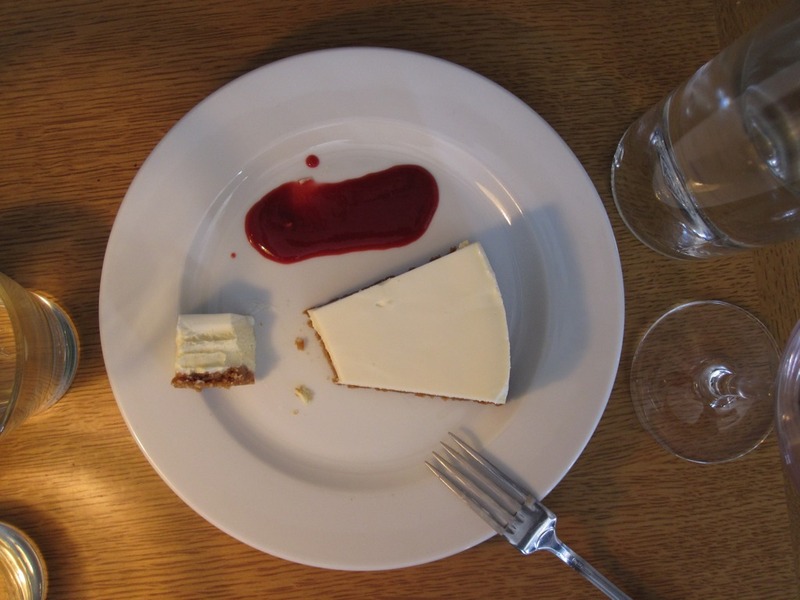 And they serve a sweet cheese cake here that will give you sweet dreams. Another strong point of Glou is the wine selection. You can choose from 5 or 6 reds, 4 or 5 whites by the glass and you’ll be hardly ever disappointed. They choose their bottles with love and care here and they even sell them for you to take away. Prices? For a lunch with a starter and a main (or a main and a dessert) you’ll pay 15 Euros (20 US$). With a glass of wine or two your bill for two will add up to 50 something Euros (70 odd US$). Not cheap, yet reasonable.